a cura di Maurizio Del Freo e Massimo Perna, 2 voll. 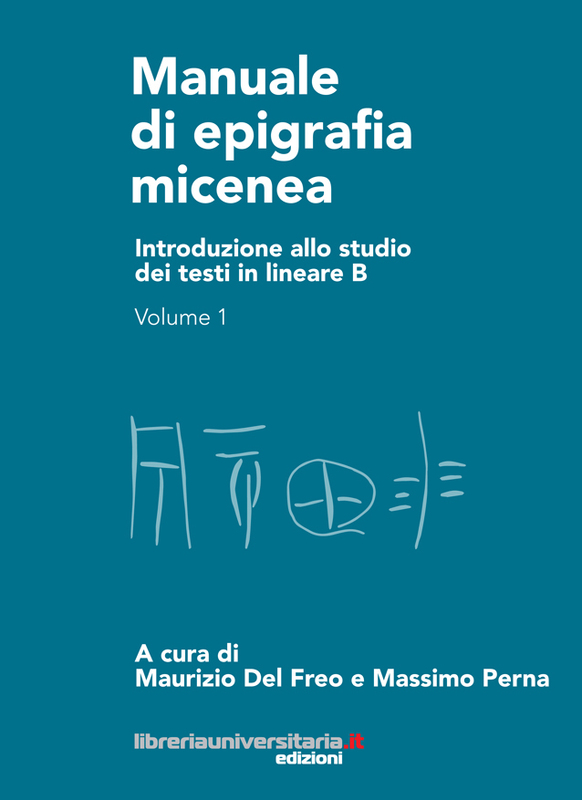 The handbook, which is the fruit of the collaboration of a group of specialists from various universities and research centres in Italy and abroad, aims to provide an updated overview about Mycenaean epigraphy. It contains an introduction to the writing and language of the Mycenaean texts and a detailed analysis of the main Linear B documents divided by topic. In the first volume (XXXII + 280 pp.) the Linear B writing system and the Mycenaean scribal and administrative practices are analyzed and compared with their Minoan antecedents (Cretan Hieroglyphic and Linear A). The second volume (VI + 506 pp.) contains a detailed description of the different production sectors as they can be reconstructed from the Linear B texts as well as a synthesis of some major topics relating to the Mycenaean world, such as geography, society, economy and religion. Each chapter is provided with an essential bibliography. The book ends with a glossary of Mycenaean words. The book can be ordered online from the publisher’s website (www.libreriauniversitaria.it). This entry was posted in news, publications and tagged Epigraphy, handbook, Linear B, Mycenaean. Bookmark the permalink.